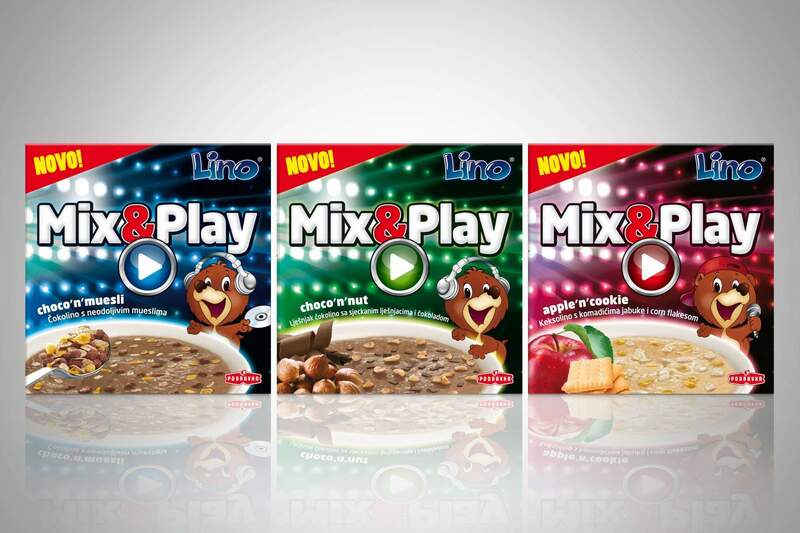 Positioning a new line of Lino breakfast cereals and coming up with names and designs for three products within the line. Having in mind that it was a difficult target group, one that doesn’t want to be treated as kids and is always looking to have a good time, we have come up with a new line of cereals completely aimed at and suited for teenagers – it uses teenage catchphrases, but retains the specific look of the Lino line and brand. In the life of a teenager, music is one of the most important things. 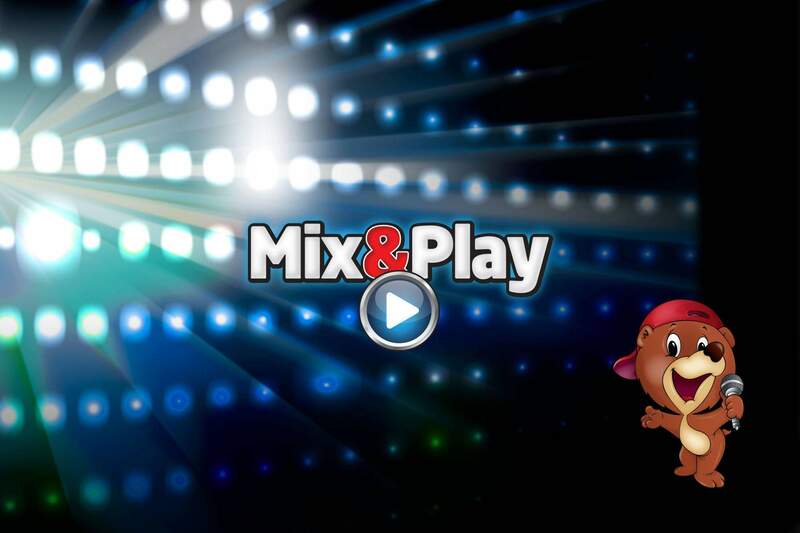 This is why we have decided to name the line MIX&PLAY, borrowing music terms that also work very well to describe the mixture of ingredients unique to these products. 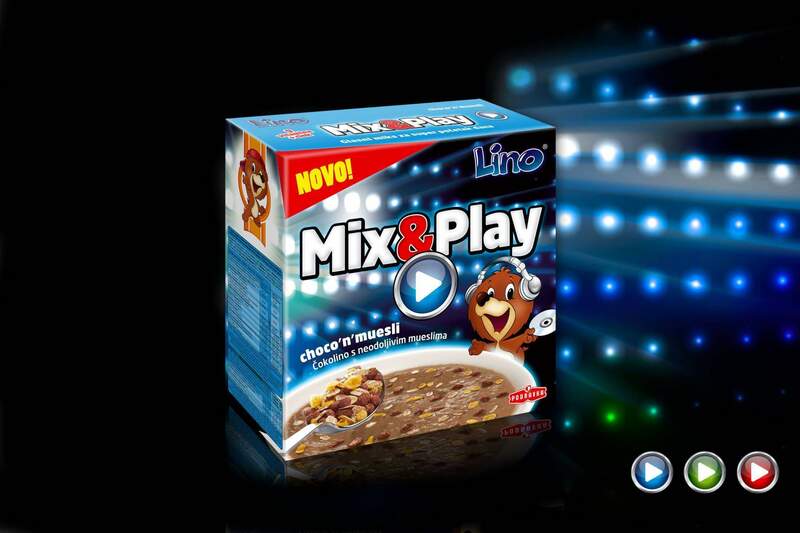 The packaging design spells fun and corresponds with the name of the line.